Who is your favorite Disney character? If you said Tinkerbell, then you're in luck! 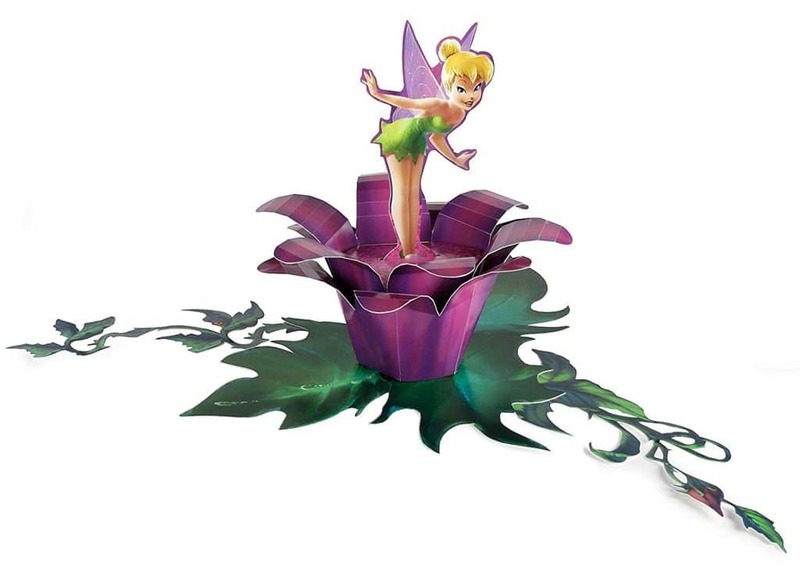 You can find a slew of Tinkerbell party supplies to transform your event space into the ultimate fairy fantasy land. Why Do Kids Find Tink So Alluring? The awesome part of having a Tinkerbell related party is that is can be fun for both girls and boys. When you incorporate Tinkerbell's friends like Terence and the Lost Boys, you can have a fun party that everyone can enjoy. The fact is that there are tons of different party supplies for all of these fun characters including party favors, games, and treats. Half of the fun is choosing from everything that is available. 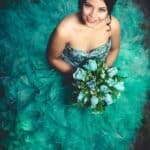 Here's your one-stop shop for everything you need for a Tinkerbell party your guests will never forget. No discussion of Tinkerbell party supplies should start without first learning a little more about this famous sprite. Tink first showed up in 1911 as part of J. M. Barrie’s play, Peter Pan. Tink was Peter's co-conspirator and best friend -- as well as Wendy's rival for his friendship. Though the character is over 100 years old, most youngsters first caught a glimpse of Tinkerbell during her appearances in the more recent family films including the 1953 animated Peter Pan film, the Steven Spielberg film Hook, and the animated films in recent years including Tinker Bell and the Legend of the Never Beast, The Pirate Fairy, and Walt Disney’s Tinkerbell. As her name suggests, she's known for being a tinker, meaning she's skilled at mending, fixing, and inventing. Disney describes her as a few inches tall, with a small frame, and big fairy wings. She is usually happy and kind, but if you get her angry, look out! Kids love Tink because she's an upbeat, spunky, free spirit. She's also a problem-solver and is always happy to lend a hand to those in need. At the same time, Tink isn't perfect. She has a temper and a jealous streak something we can all identify with. And everyone wants a bit of fairy magic in their lives. If you're going to throw a Tinkerbell party, you'll need the right kit. Fortunately, you have many choices. When you start your search for Tinkerbell party supplies, the first step is finding the right invitations. And how can you not, when there are so many options? 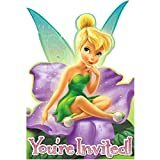 If you're looking for something basic but fun, then invitations with just a picture of Tinkerbell and the words “You’re Invited” are a surefire winner. You can also find Tinkerbell accompanied by short sayings, Tinkerbell waving her magic wand, and Tinkerbell invitations in unique shapes. An adorable invitation the features Tinkerbell sitting in a purple flower. Invitation reads "You're Invited" in the front. If you're looking for something a little more interesting, consider personalized invitations. Customize a little or a lot, from necessary information only to the birthday child’s name and picture. You can even create your own from scratch. 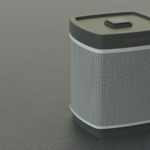 There are custom printing options, or you can download a digital file and print them yourself. Once the guests have arrived, it'll be time to lay out the tableware. And once again, you're spoiled for choice. There's nothing like a Tinkerbell tablecloth to set the stage for your birthday feast and cake cutting. This cute but understated tablecloth has the sides decorated with Tinkerbell in her various famous poses. Tinkerbell gathers with some of her famous animated friends on this colorful tablecloth. If you want a table cover that you can use year after year, then this fun and vibrant cloth will create memories for a long time to come. Now that your tablecloth is set up, it's time for plates. 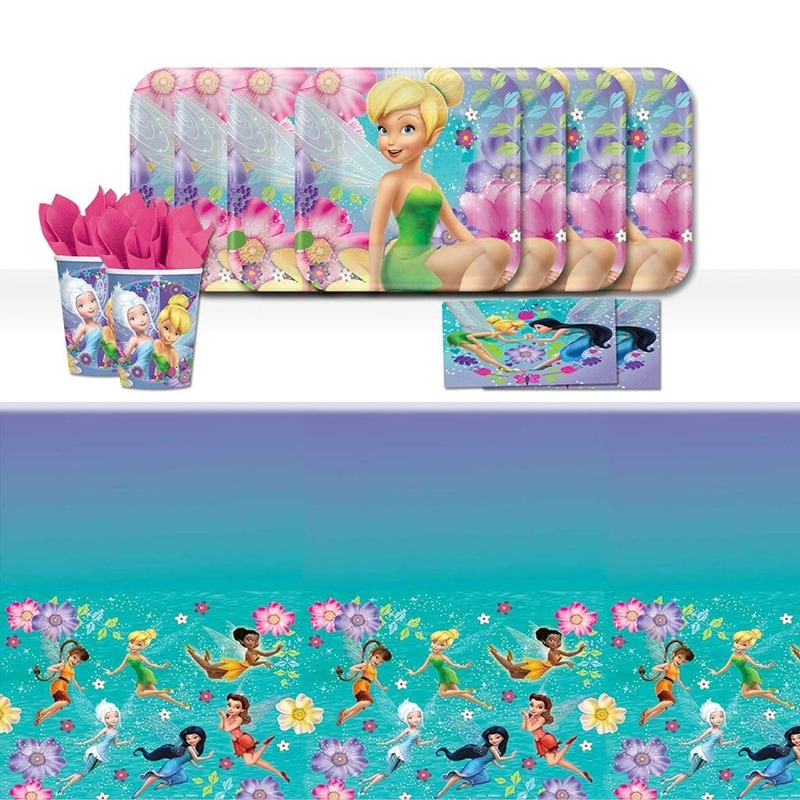 This pack of eight plates features Tinkerbell in one of her most adorable poses. This eight-pack plate set shows off Tinkerbell in vibrant violet and bright pink. If you're looking for a matching set of plates and napkins, then you can’t go wrong with this colorful set. Finally, this expansive 16-piece set featuring napkins and a tablecloth will kick the party up a notch. If you have the plates, you'll need the cups, too. And there are many options from which to choose. This set features Tink and her friends floating around the cups. This lovely set offers a bright, unique look at our favorite sprite. If you want cups that keep on giving, then these fun reusable Tinkerbell cups are a must-have. If you want something premade, then you have a plethora of options. There are many fun table decorating kits such as this vibrant set, which includes a 12-inch Tink cutout, two side centerpieces, and an adorable butterfly confetti set. 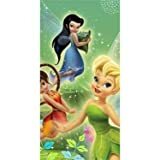 The best table decorations give the illusion that Tinkerbell has joined the party and this upright popup fits the bill with its lifelike appearance. These gorgeous centerpieces feature wood bases and double-sided designs. There are a lot of fun DIY centerpieces that you can make at home. Here is a fun centerpiece made from a mason jar, some glitter, and some paint. Use flowers, paints, and a stencil to create a Tinkerbell centerpiece. Older kids will have a blast helping you make them as well. No youngster’s party is complete without balloons, and there are plenty of Tinkerbell balloons to choose from. 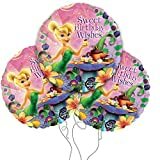 You can find mylar balloons, for example, with lovely Tinkerbell designs. For extra flair, larger balloons made in the shape of Tinkerbell are always a hit. Get the best of both worlds with Tinkerbell balloon sets. Pinata are a classic, and no discussion of Tinkerbell party supplies would be complete without them. Check out this one, with Tink in a long flowing dress. If you're looking for something smaller but adorable, then a lovely pinata featuring a traditional Tinkerbell floating about will be a hit. 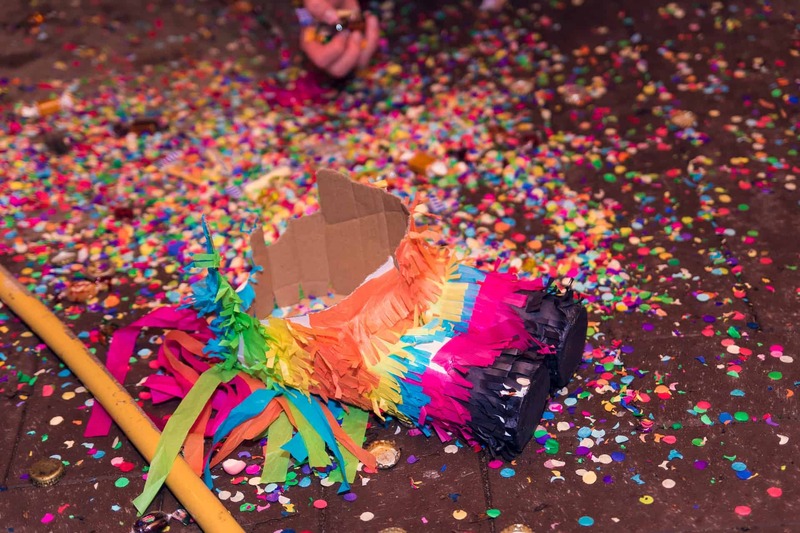 The pinata is 15 x 15 x 3.5"
While most kids are just happy being at a Tinkerbell party, every child loves party favors with their names and special messages on them. What child doesn't like stickers? And stickers with their own name on them? An instant winner. 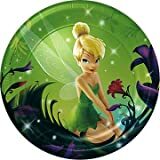 Many customizable Tinkerbell stickers can be made in a variety of colors and can be hung at the party or given out as favors. Put your guest’s names on these adorable stickers and send them home with a gift they won’t forget. Who doesn’t love personalized candy? As far as Tinkerbell party supplies go, there's not much that can beat that. When you're putting together the gift bags, fill them with personalized candy tins, lollipops, and even full-sized candy bars. Personalized buttons are great because they can be worn time and time again. These unforgettable pins can include the guest’s name in bright pink. Pairing Tinkerbell with her friend Peter Pan is always a hit. Don't forget the treats! Cake and cookie designers love working with Tinkerbell, and you can even make some of these snacks yourself. Complete the Tinkerbell theme with an unforgettable cake. There are many variations available. Some of the most memorable include those with 3D figures on top. Sheet cakes offer more real estate for elegant Tink displays. Tinkerbell cupcakes are always a hit because you often get more bang for your buck. Plus, the best cupcake toppers are just adorable. This collection of cupcake rings are pure party pleasers. For lighter fare, add cookies to your list of Tinkerbell party supplies. Cookies come in all shapes and sizes. 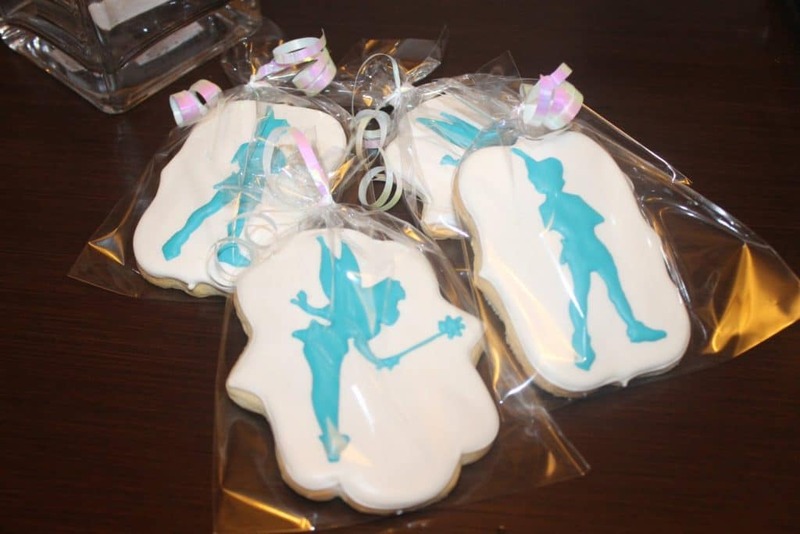 Individually wrapped Tinkerbell cookies are great for party favors. If you want to keep the fairy theme without Tinkerbell, there are numerous generic cute fairy cookies available. If you want to make your own cookies, then you can buy Tinkerbell cookie cutters. Once done, design them however you like. Some of the best Tinkerbell party supplies are the ones you can wear. From fairy dresses to DIY Lost Boys costumes to pirates-in-training, there's a costume for every child. Disney offers an authentic Tinkerbell outfit that is absolutely gorgeous. There is also an adorable model for baby fairies. If you want to dress in a precious fairy dress without going to Disney, then try a comparable costume. This costume includes large wings and a magic wand. For $20 to $40, you can purchase this intricate fairy dress that will make your little girl the belle of the ball. Once the party's over, it is time to send your guests home and thank them for their gifts in style. Tinkerbell thank you cards come in a variety of options. This adorable set lets you write your message right on the front. Many collections are relatively inexpensive and display a beautiful picture along with your message. This lovely set features Tinkerbell and her fairy friends. Boys are certainly able to enjoy the Tinkerbell party supplies we have listed above. The great news that boys and girls alike can also have a blast celebrating with Tinkerbell’s many friends. Parents who want to honor their child’s wishes of having a Lost Boys themed party can get a decorating kit. 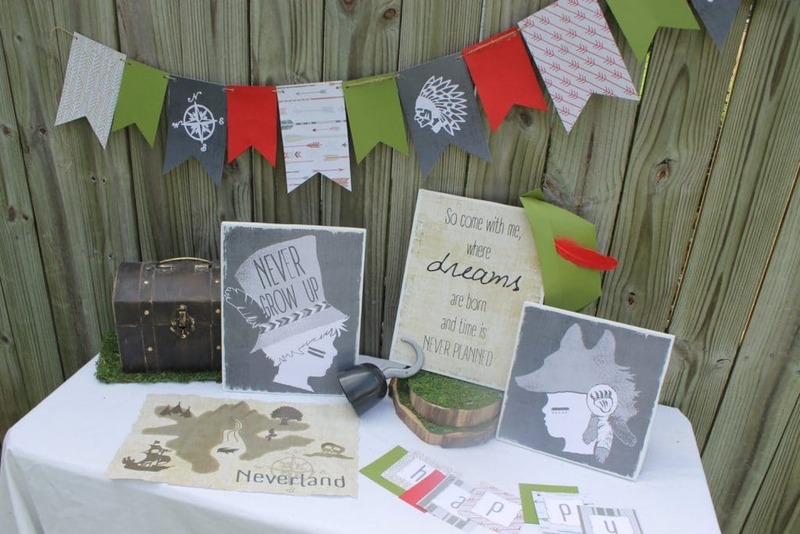 Some kits include Lost Boys invitations, banners, and paper hats. Speaking of banners, this Peter Pan/Lost Boys banner will look great at the festivities. Kick the festivities up a notch with this huge and picture-worthy Jolly Roger ship prop. Finally, invitations for a Night in Never land appeal to both boys and girls. While you are shopping for Tinkerbell party supplies, don’t forget about her faithful companion, Terence. He's Tinkerbell’s friend from the movies who spends his mornings handing out pixie dust to the other fairies. He also has his own range of party supplies. Balloons, streamers, and cakes all make the party better. But how about party favors? You can hand out Terence patches or customer made play figures. You can even have the birthday boy, or his guests dress up as Terence with this DIY costume. Since all of the Tinkerbell party supplies are in place, no party is complete without fun activities. 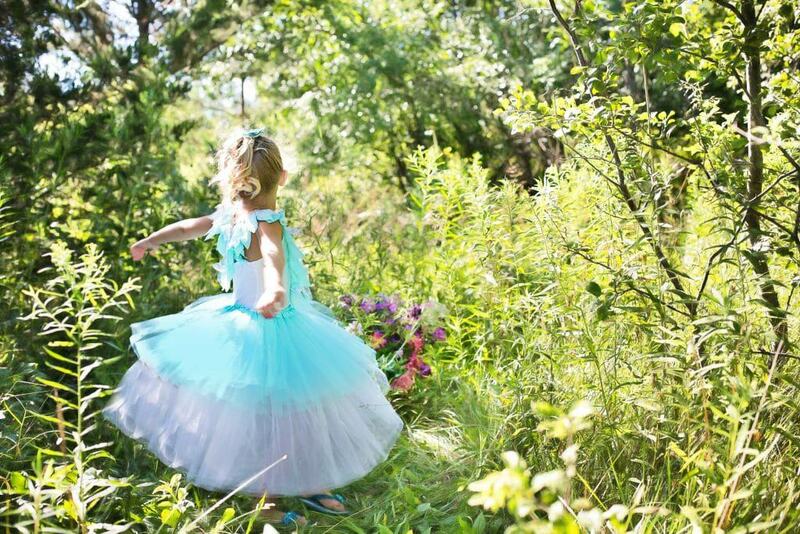 There are many great fairy inspired games and activities that are a blast during any Tinkerbell party. These are activities that both girls and boys can enjoy. To prepare for this game, hide little pouches of pixie dust (gold confetti or glitter) and hide them around the event space. Then have the guests hunt for them. Have an adult dressed as Captain Hook offer clues to where to find the treasures. Fairy tale theater involves the participation of all the girls and boys at the party. Have everyone dress up as Tinkerbell, Terence, the Lost Boys and all of the fairy friends then put on a show. Make paper hats, magic wands, and wings during the party and then perform with your props during the big show. A fun way to make fairy wings is to attach nylon to plastic hangers. Once you secure the wings, have the kids decorate them with stickers, glitter and puff paints. 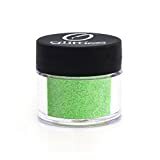 Tinker Bell Green is a bright, light green iridescent color with pixie dust sparkle. Ideal for nail art, including nail tips, gel polish, gel or acrylic nail powder. After the show, you can play a rousing game of freeze tag. For this version, pick out one guest to be the bad fairy and one to be the good fairy. When the game starts, the rest of the guests run around the area. If the bad fairy tags a player, they have to freeze. The only way to be unfrozen is by the good fairy. Magical mushrooms is basically a play on musical chairs. To prepare, create mushroom cutouts with cardboard and markers and place them in a circle on the floor. Have the kids skip around the play area while you play light, fairy-themed music. When it stops, they have to find a seat. Last fairy or lost boy sitting wins! The only thing necessary to play this game is imagination. Here, one player will be the “Fairy Catcher.” That individual will change the other guests around. If they get tagged, they must go to the fairy trap. Once there, they have to say “I believe in fairies” 10 times fast. If they can do it before the Fairy Catcher returns, then they are set free! With all of these fantastic Tinkerbell party supplies available for your fairy party, it is no wonder why this particular theme is such a hit. And shopping for these supplies can give you ideas for creating your own unique supplies. The wonder of a Tinkerbell party is limited only by your imagination. Have any of our readers created fun Tinkerbell party supplies that were not listed here? If so, how did they work out? Share your success stories in the comments.